Just a quick update for versions 3.1.1! 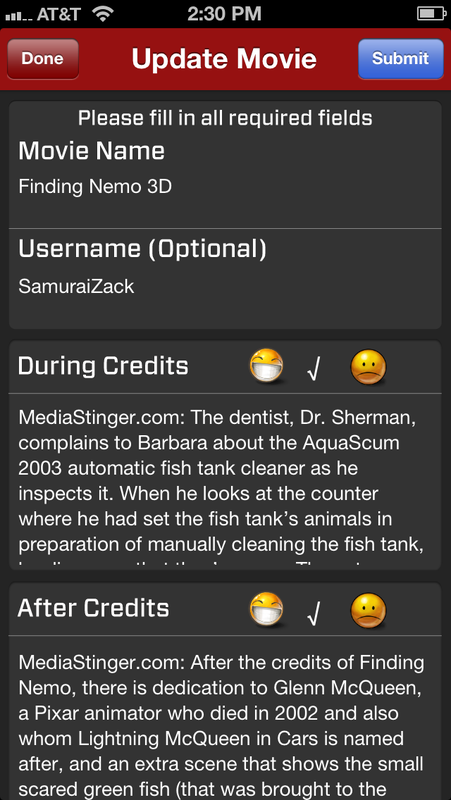 Last update, I added a major new feature called spoilers. Now I forgot that if someone wanted to correct a typo in a large spoiler, they would have to retype everything out in the update screen. Now, all the data in the update screen will reflect what is in the database. This should make some of the process of updating spoilers easier. 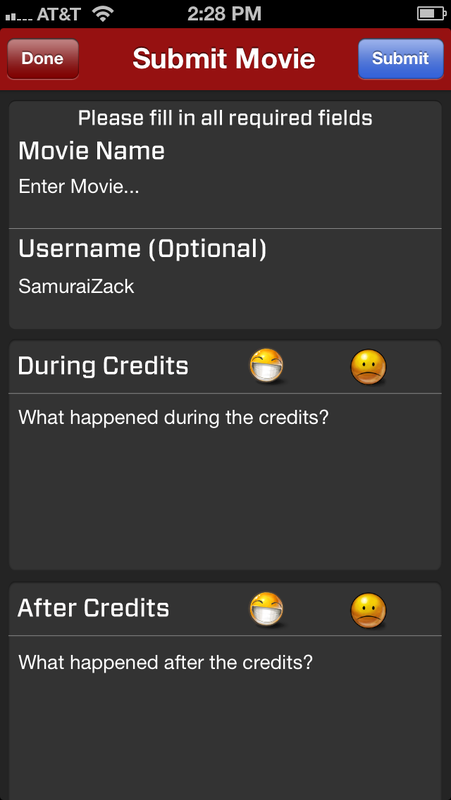 This entry was posted in Small Updates and tagged After Credits, After Credits app, Anything After, App Store, App Store Update, Apple, Applications, Clips, Credits, During Credits, iOS, Itunes, Movies, Search Movies, Spoilers, Stingers, Waka Waka Zaku, Xcode. Bookmark the permalink.